Every season on “RuPaul’s Drag Race,” contestants showcase their “charisma, uniqueness, nerve and talent” to see who will become America’s next drag superstar. The queens fighting for this season’s crown were recently revealed via social media, and it already seems like this season will be one to watch. Promotional pictures were posted on Instagram, Facebook and Twitter, and Logo TV — which the show airs on — has placed introductory videos on their website. This season’s cast is eccentric, though this is true for nearly every contestant that has appeared on the show. In fact, it’s usually the queens that don’t make a statement who are the first to go. On the show, RuPaul emphasizes how much he hates when the contestants play it safe, so every queen who tries out knows that they must leave it all on the table. “RuPaul’s Drag Race” started from humble beginnings. In the first season, the winner won a lifetime supply of MAC cosmetics, was featured in an LA Eyeworks campaign, joined the Logo Drag Race tour and won a cash prize of $20,000. Though this does sound lavish, the cash prize from the last season has been increased to $100,000, as well as a year’s supply of makeup from Anastasia Beverly Hills cosmetics and the now-famed title of America’s Next Drag Superstar. Though this season’s prizes have not been confirmed, they will likely be of a similar magnitude. Ratings have been up as the competition series continues to gain exposure, jumping 20 percent over the past two seasons. The spike may be attributed, in part, to the show’s large presence on social media. Before the season finale, RuPaul asks his viewers to hashtag and promote their favorite queen so they can help make the final decision. Fans from all around the world flood their accounts with reaction gifs of their favorite queens, and RuPaul sees it all. This season’s contestants are as follows: Acid Betty from Brooklyn, NY; Bob The Drag Queen from New York, NY; Chi Chi DeVayne from Shreveport, LA; Cynthia Lee Fontaine from Austin, TX; Dax ExclamationPoint from Savannah, GA; Derrick Barry from Las Vegas, NV; Kim Chi from Chicago, IL; Laila McQueen from Gloucester, MA; Naomi Smalls from Redlands, CA; Naysha Lopez from Chicago, IL; Robbie Turner from Seattle, WA; and Thorgy Thor from Brooklyn, NY. Some contestants have already made a name for themselves on the drag scene. Derrick Barry, a Britney Spears impersonator from Las Vegas, is among one of the most well known of the bunch. He has previously auditioned for “America’s Got Talent,” where he made it all the way to the quarterfinals. Dax ExclamationPoint, a 31-year-old drag queen from Savannah, Georgia, is another well known contestant. She is the drag mother — a queen who takes another drag queen under her wing — of Violet Chachki, who won the most recent season of the show. She describes her style as “road-warrior, glitter-punk superhero assassin, kind of.” Based on Chachki’s performance, people are expecting a lot from ExclamationPoint. Other notable contestants include Acid Betty, who, at 37, is the oldest queen of all the cast members this season. She is known for her outlandish looks and attention to detail. One look at her Instagram page and fans already know that they can expect tons of color and personality from her. “My drag style is very aggressive, alternative and hyper-colored glow in the dark,” said Betty in an interview with Logo. These three names are just the beginning, however, and this season of “Drag Race” is sure to shine among this spring’s TV lineup. 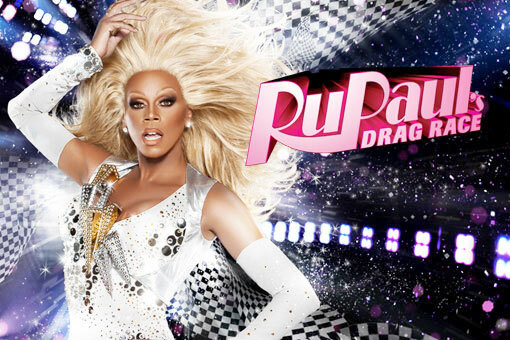 “RuPaul’s Drag Race” premieres its eighth season March 7 on Logo.